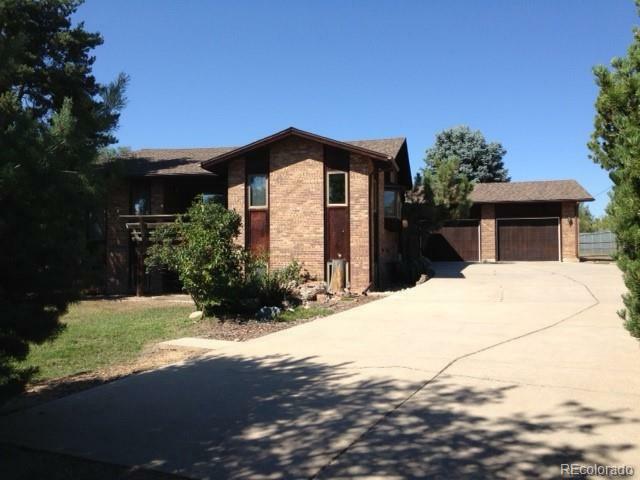 Five bedroom four bath custom home in country setting on large .85 acre lot with mountain views. Main floor master plus guest bedroom on main level with three bedrooms downstairs. Two fireplaces (one wood burning and one gas.) Unique floor plan with large country kitchen and laundry room on main level. Oversized two car garage, mature landscaping and room to expand for additional garages or outbuildings. See this unique home today!